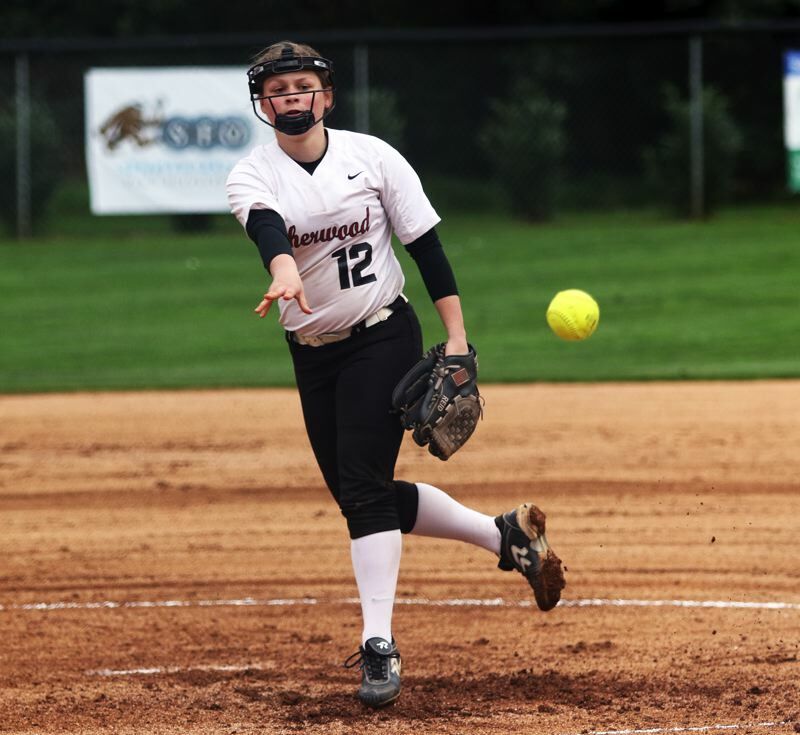 SHERWOOD — Sure, the Sherwood High School softball team got a strong pitching performance from senior Josie Reid. The Lady Bowmen also come up with some clutch plays on defense. And they also hit the heck out of the ball. But there might be one other big factor to Sherwood's impressive win over Gresham. That would be a baby watermelon. 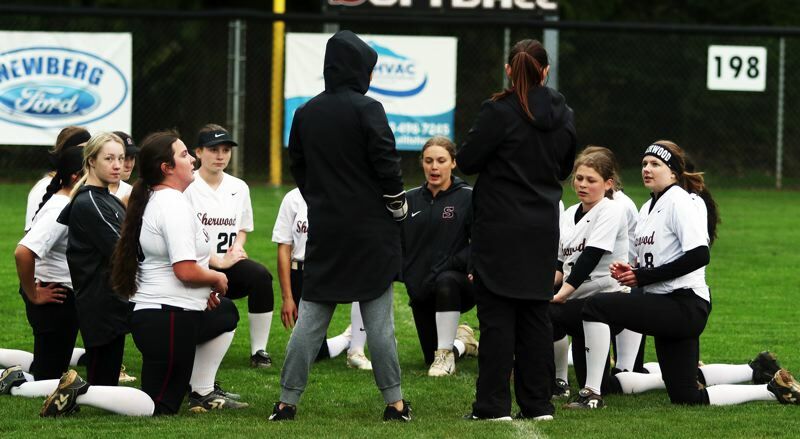 The Lady Bowmen, with their new good luck charm — a baby watermelon — sitting in their dugout, powered their way to an 11-0, five-inning win over the Gophers in a non-league game played Tuesday at Sherwood High School. "We had our good luck charm, a baby watermelon," said Sherwood junior Emily Knott, who had a pair of hits in the win. "It has a little face on it and everything. It really brought our energy up. We needed something to help us come together as a team." "It was Olivia Dirks' idea," Reid said of the idea of having a good luck charm in the dugout. "We were all naming off fruit, and we decided on a baby watermelon. His name is Fredrick Marvin the First, and we all touch him when we go out to play." With the win, Sherwood, which will open Pacific Conference play at Newberg on Friday, improved to 3-8 on the season. "This was a really important game, especially since it was at home," Knott said. "It was good getting ready to go into league with a good win like this. This should give us confidence." "It went really well," Reid said. "I think we really just brought it all together. We have some really talented people, it was just a matter of bringing it together. I think we really came together as team for a good win today." Gresham fell to 4-7 on the season with the setback. 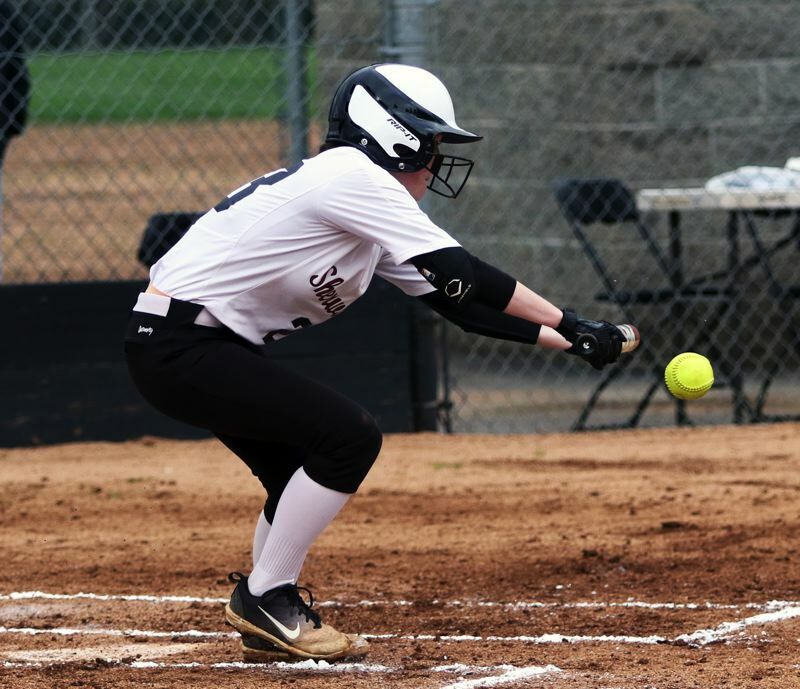 The Lady Bowmen got off to a fast start to Tuesday's game, scoring three runs in the bottom of the first inning. Sophomore McKenzie Abiley got things started with a leadoff single to center field. 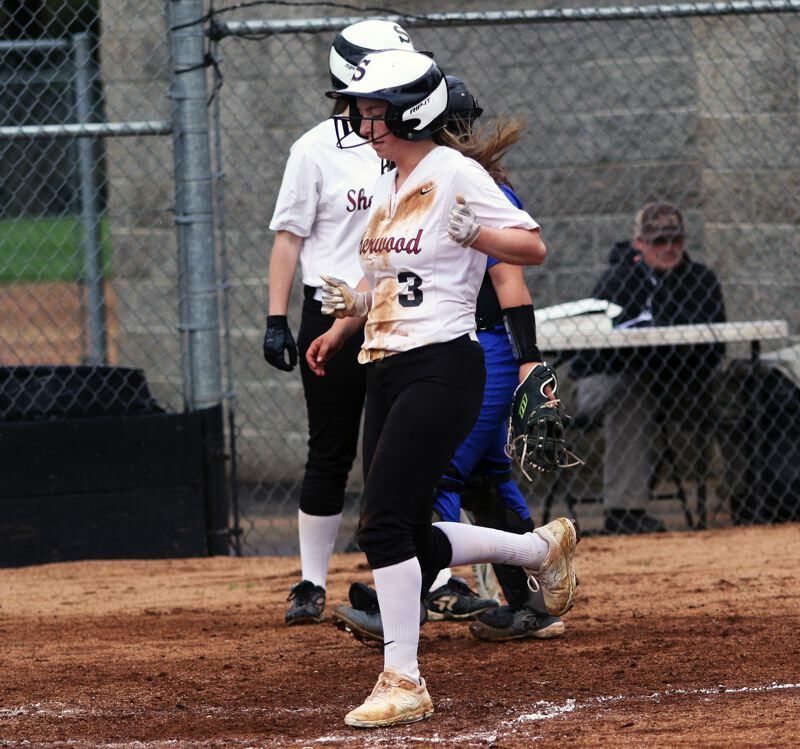 Junior Jordyn Moullet-Dozier then reached second base when Gresham committed an error on her sacrifice bunt, with Abiley moving to third on the play. Abiley then scored on a wild pitch, giving Sherwood a quick 1-0 lead. 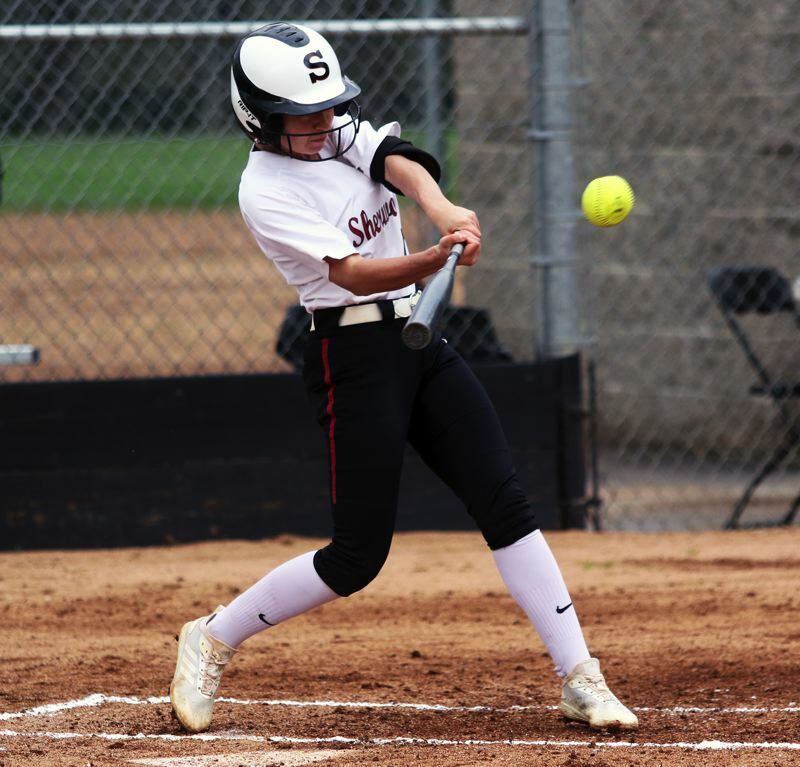 Moullet-Dozier would score later in the inning on a wild pitch, and junior Ema Kessler, who drew a walk, would score from third on a sacrifice fly by freshman Lauren Garrison, giving the Lady Bowmen a 3-0 advantage at the end of the frame. Sherwood added two more runs in the bottom of the third inning. Kessler led off with a single and scored on Knott's double to the gap in left-center field. Knott then scored later in the inning on a Gresham throwing error, upping the lead to 5-0. 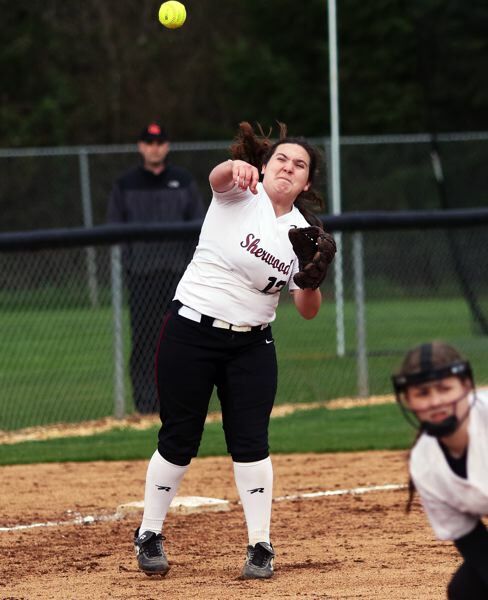 The Lady Bowmen added two more runs in the bottom of the fourth inning, with the big hit of the frame being an RBI triple by Moullet-Dozier, who would then score on a Gresham error later in the inning, giving Sherwood a 7-0 lead. 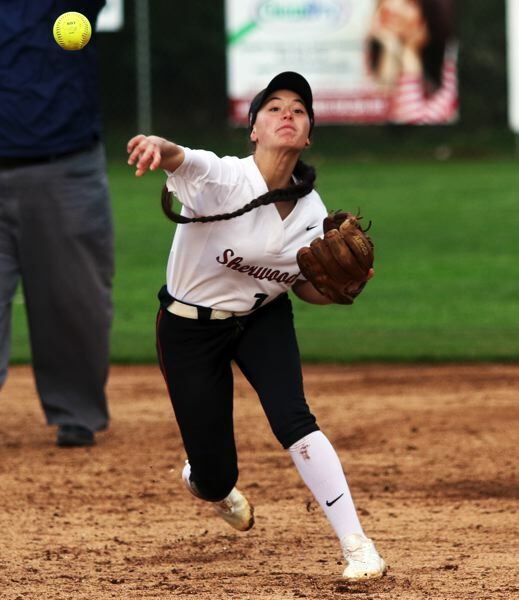 In the bottom of the fifth inning, the Lady Bowmen had a chance to put the game away, and they took advantage of it. Dirks, leading off the frame, singled to center field and moved to second on an error on the play. Freshman Natalia Zepeda followed with a single to center field, driving in Dirks to make the score 8-0. Then, following a fielder's choice grounder by Reid, senior J.J. Pringle doubled to center field, putting runners on second and third. One out later, Moullet-Dozier tripled again, plating Reid and Pringle, before also scoring on a Gresham error on the play, making the final score 11-0. "We were able to string hits together, and build off each other," Knox said. "We celebrated the little victories, and that really helped us." "We had some great catches in the outfield," Reid said. "They had my back when I needed it. Emily had a great catch at the fence. It was a great game overall." Reid, in pitching the shutout, gave up four hits, while striking out three and walking none. 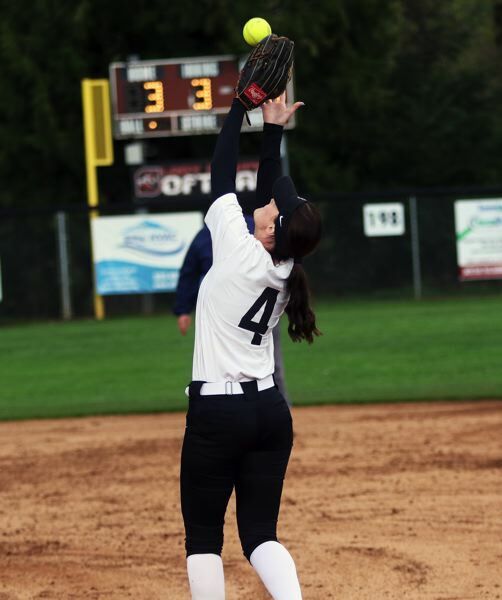 "(Sherwood assistant coach Amanda) Wiley did a really good job calling the pitches, and I trust her, Reid said. "She knows her stuff." Sherwood, as a team, had nine hits in the victory. Moullet-Dozier went 2 for 4 at the plate, with two triples, three runs scored and three RBIs. Knott went 2 for 3 with a double, a run scored and an RBI. Dirks went 2 for 2 with a run scored and a walk. Abiley had a hit and scored two times. Pringle and Kessler each had a hit. "When one person hits, it's very contagious. And, overall, the whole lineup hit, which was really important for us," Reid said. "This was so much fun. Winning is just way more fun than losing. I'm just proud of everyone. We all did really well." The Lady Bowmen will be back in action on Wednesday, when they host Oregon City in a non-league game starting at 5 p.m. It will be Sherwood's final non-league game before beginning Pacific Conference play.